Delhi I can’t be everywhere, but I wish I were going to be home in New Orleans when President Obama finally makes good on his promise to visit and step up his role in rebuilding. Of course from halfway around the world, it’s hard to understand most of what’s happening on the home front. There seems to have been a whole lot of excitement when the President’s visit was finally announced and the great New Orleans ACORN leader in the Lower 9th Ward Vanessa Gueringer, who has been a tiger in making sure the lower nine would be rebuilt and supported, said simply, that she thought an Obama visit was great, but sure hoped he was planning on visiting the 9th Ward to see how much still needed to be done or words to that effect. This is light stuff and virtually nothing more but a polite invitation. Gueringer could hardly have said anything else. But, reading between the lines way over here, it looks like some folks in the White House communications department went on red alert at even this simple 9th Ward welcome, which was nothing but sugar and spice compared to what Obama has seen before on the South Side of Chicago back in the day. My guess is a call went out to ACORN’s DC office asking them to cool it down, and once this message reached New York, they thought they had an opportunity to curry a little favor with the White House, especially since they were still wiping bus tracks off of their shirts given the President’s anti-ACORN adlibs around the organization’s recent snafus. The White House quickly amended its schedule (as note in the Times Picayune) and added a stop in the lower 9th, thanks to Gueringer’s pointed plea and invitation. ACORN’s national management was left once again outflanked and out of synch, talking in New Orleans about suppression of the local chapters involved in Katrina recovery while contradicting one of the leaders of Katrina recovery doing the job that any great ACORN local leader would do: advocate for her members! And, there’s no doubt that the President needs to not only visit but to step up. His Katrina anniversary conversations with VP Biden about using stimulus money for Katrina rebuilding is hollow since that money is under the vise grip of Republican ideologue, governor, and presidential wannabe, Bobby Jindal, and is not coming to New Orleans. There needs to be a real Katrina lift by the federal government, but a head fake towards a recalcitrant state government in Baton Rouge. There was something I saw in one of the stories about them not caring if the chapter was talking about Mayor Nagin, but it was different with the President. Hardly! The local ACORN chapter has led the way for four years in dealing with President Bush and every major presidential candidate, Democratic and Republican, who came to New Orleans either for a photo op or to register a real pledge or promise from Hilary Clinton to John Edwards to John McCain to even Barack Obama. 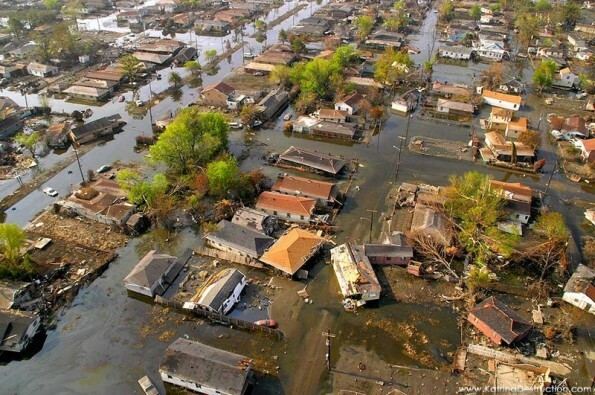 In Delhi and Jakarta and even recently in Bangkok, there are still questions I get all of the time about the progress of rebuilding in New Orleans in the wake of Katrina more than four years ago. People who have been displaced, evicted, and homeless and fighting for the chance to return home understand and identify with New Orleans and the fierce fight that New Orleans ACORN has fought with its thousands of members in the recovery. Certainly this is not part of daily reality in New York or DC, but it still is very much the struggle in New Orleans. The President can handle the pressure and when he feels it, will do the right thing. We all need to stand behind Vanessa Gueringer and the people of New Orleans, and stop playing petty politics with Katrina victims. Mr. President, please help New Orleans! This entry was posted in ACORN, Louisiana Recovery, Rebuild New Orleans and tagged 9th ward, NOLA, Obama by wade. Bookmark the permalink.